This island from Mahoney Architects & Interiors was custom made and has a marble top that matches the other counters in the kitchen. 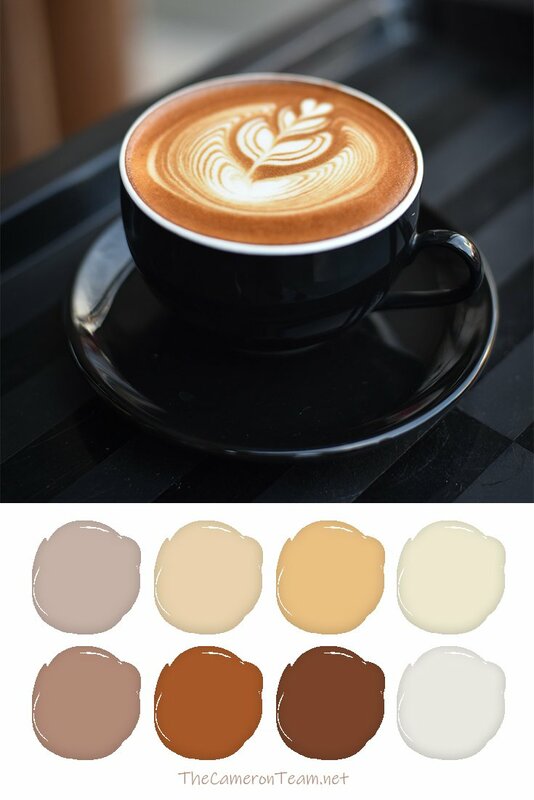 The simple design could be replicated to fit a pre-existing kitchen by carefully matching the color of the marble and wood finish to the current counters and cabinets. 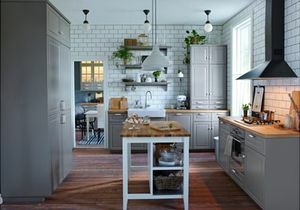 In the picture, you can see a contrasting dark finish was used instead of matching white paint in order to add another dimension to the kitchen design. 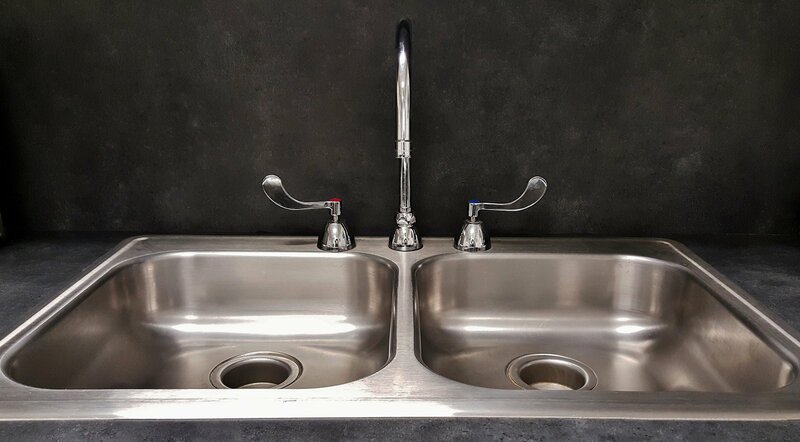 So, not every detail needs to match finish-for-finish. If you don’t have a lot of room in your kitchen, but want the extra storage, this island from Home Styles (sold on Wayfair) comes in 4 common finishes and has a granite top. Adjustable shelves and a two drawers on metal gliders provide much-needed storage space. Plus, there’s a spice rack and towel holder that are useful for when you’re preparing meals. The whole island is on wheels, but they can be locked to keep it in place. This piece requires assembly, but is very sturdy. This handcrafted island from Williams-Sonoma features a limestone top. What’s so great about that? It’s great for rolling out pastry dough. So, if the “head chef” loves to bake, this is the perfect kitchen island. It also has 8 small drawers and four large drawers. It’s built of solid spruce and has hanging bars at either end for towels, ladles, etc. The great thing about butcher block is that you can add it to the top of any solidly built piece of furniture. 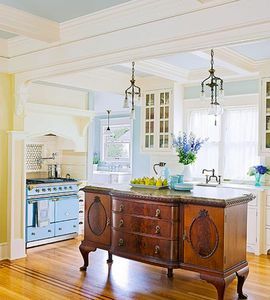 That’s what the folks at Pinterior Designs did when they repurposed this old dresser into a kitchen island. They removed the bottom two drawers, added wooden shelves in their place to cover the braces, and painted it a dark shade of periwinkle. If you have an old dresser, you can do this too. 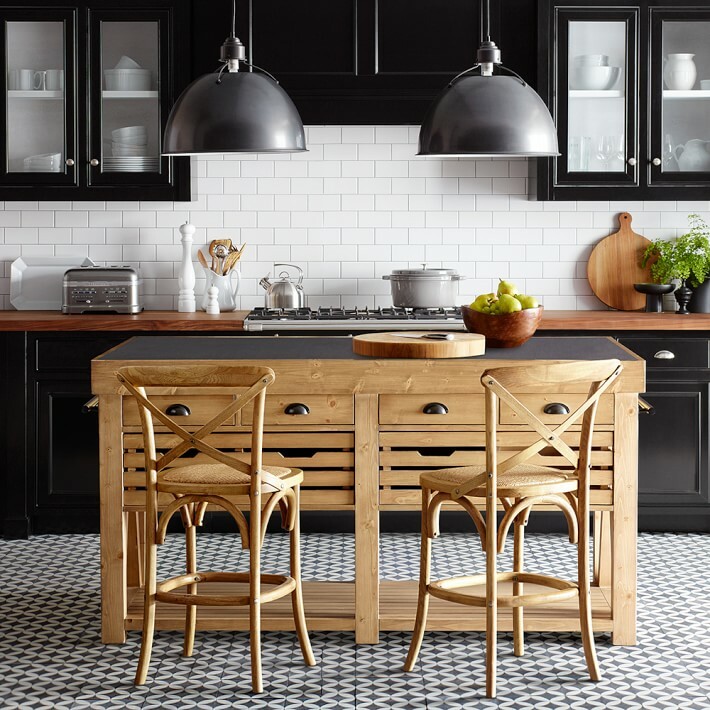 You may need to adjust the height by adding or removing legs, but converting it to a kitchen island can be as simple as adding a butcher block top. 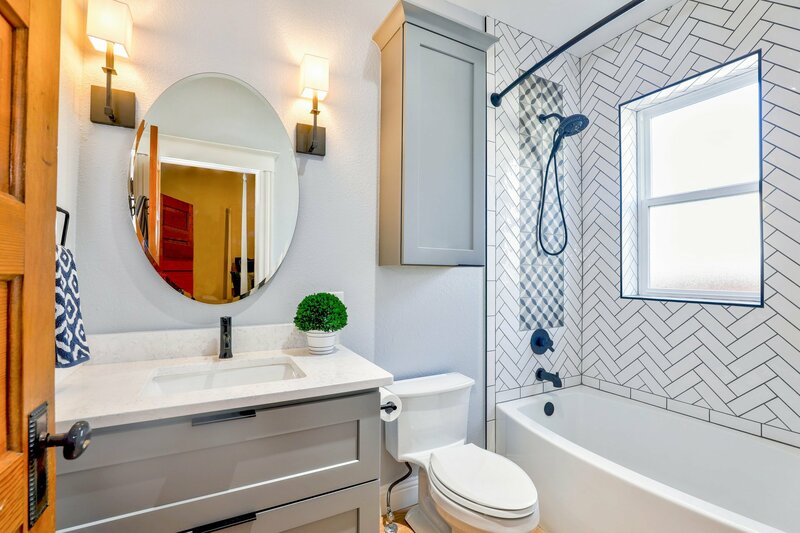 You may even want to attach a towel bar or spice rack to the side. Have a gorgeous piece of antique furniture that you just can’t part with? 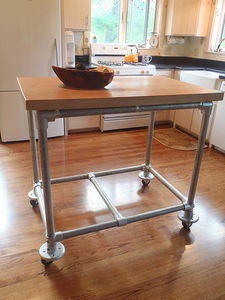 Repurpose it into a kitchen island. That’s what happened with this buffet featured on Better Homes & Gardens. 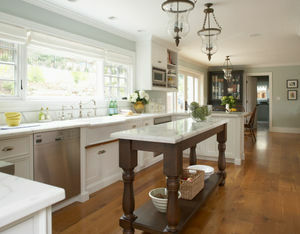 They added a stone countertop and buffed up the wood to make it shine, and the results are a show-stopping 6-foot-long central island. 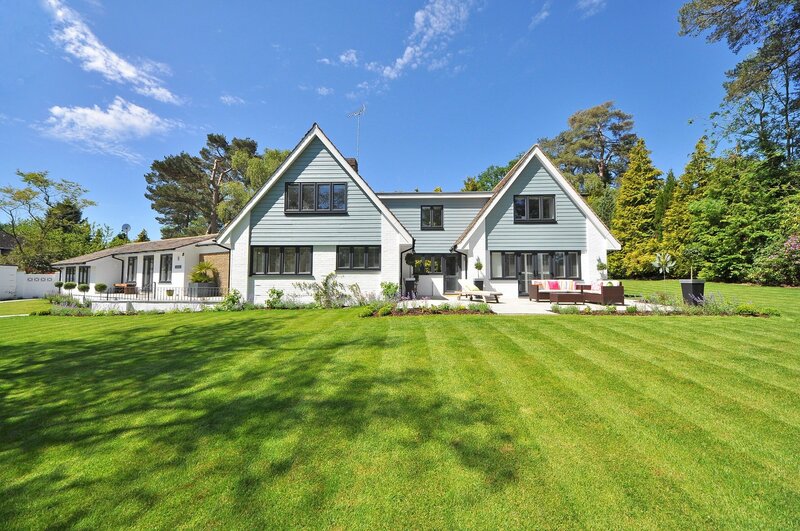 Are you a fan of the industrial look? 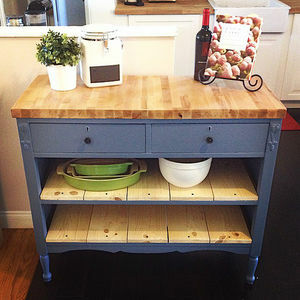 The folks at Simplified Building showcased this homemade pipe kitchen island with a butcher block top. They even share the list of parts used, so you can make it yourself. You could even paint the pipe or change the type of pipe used to make the aesthetic feel of it fit your specific style. 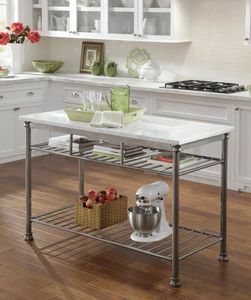 If you enjoy the metal look, but want something sleeker than the industrial look, Home Styles has created this marble top steel island, which is super easy to clean. Best of all, if you have an uneven floor in your kitchen, each individual leg is adjustable for added support. It does require some assembly, but it isn’t very difficult. If you’re an Ikea fanatic, you may already know about this kitchen island. It’s a simple design with a solid oak top and two hygenic stainless steel shelves, but what sets it apart from many other freestanding kitchen islands is that a partition makes it possible to setup bar stools under it. This is perfect if you want an additional place to eat or prefer to sit down while preparing meals. 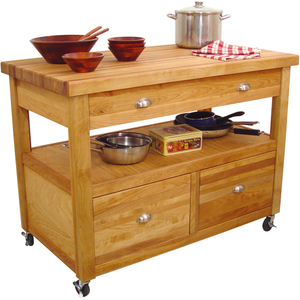 This hardwood kitchen island is manufactured by Catskill Craftsmen and is a BEAST among mobile kitchen islands. It has three drawers, nickel plated hardware, and an open shelf. The caster wheels can be locked to keep it in place and the top is a solid butcher block. There are other versions of this island with additional add-ons, like pull-out cutting boards and towel hangers. So, if you like this one, you should definitely check out other islands made by Catskill. 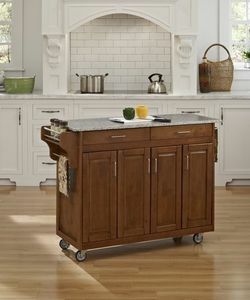 For those of you who long for the extra counterspace of a kitchen island, but aren’t sure you have the room to spare, Winsome has a foldable kitchen cart with a paper towel holder and knife block that you can break down when you need the floor space. 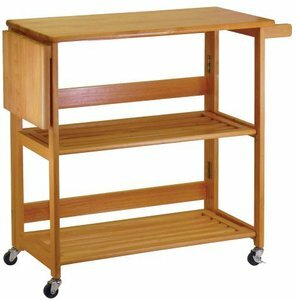 It includes two shelves and is built on casters for easy mobility. The versatility and open-air design makes it great for small kitchens. 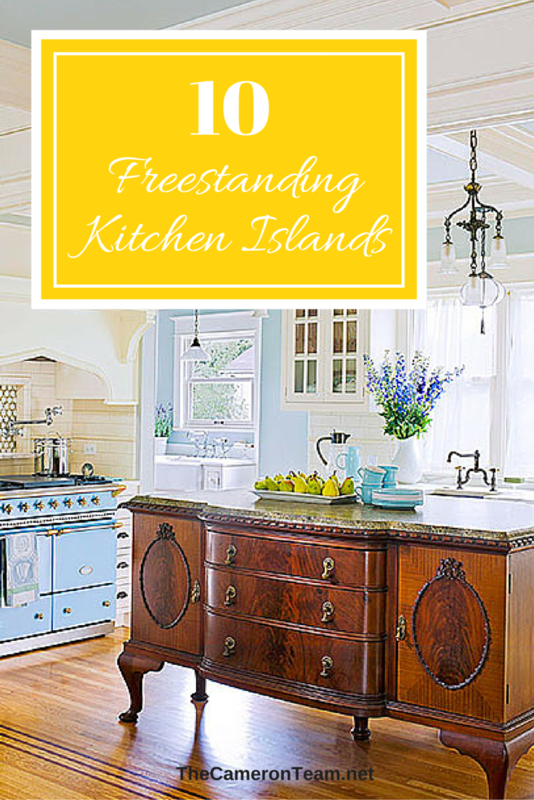 Have you seen a great freestanding kitchen island that wasn’t mentioned here? Share it in the comments below!